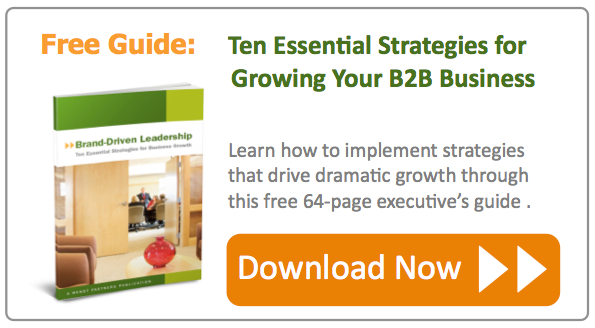 Achieving B2B business growth is a complex and often confusing task. Many CEOs can successfully administer their company in its present state of affairs, but struggle mightily to move from their current revenue plateau back into a mode of effective and sustainable growth. At Wendt Partners, we firmly believe that B2B business owners and CEOs benefit most from a structured, methodical approach to their needs, especially when it comes to planning, preparing for and achieving business growth. Ad hoc decisions and poorly formed ideas or assumptions are far too common a presence in corner offices. Developing a meaningful and executable strategy does not have to take a great deal of time, but it does require a commitment. 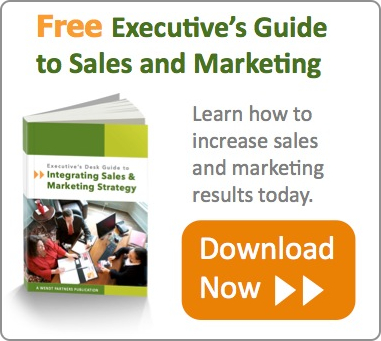 Sales - Building and nurturing an effective new business development program. Marketing - Creating a dynamic brand that is well-defined and clearly differentiated in a crowded marketplace. Strategy - Establishing the focus of the company's products, services and solutions in ways that are most attuned to customer and market opportunities. Leadership - Developing and guiding your key executives and front-line leaders to effectively manage, supervise, communicate and achieve results. 1. Select - As a client, you can choose one or more focus areas for us to assess within your B2B enterprise. Most clients choose two to begin with, so that they can achieve the benefits of an integrated view of key aspects of their business. For example, if we assess sales and marketing at the same time, you will be able to identify key priorities for each, and also understand how the two functions are (or not) working together to create customer relationships. 2. Assess - Our team will come into your company and perform a StrategyFirst Action Assessment for your chosen focus area(s). Generally, we plan for a 30-day timeframe to assess one focus area. However, there are some time efficiencies when multiple focus areas are examined simultaneously. For example, most clients who select two focus areas are engaged for 45 days, rather than 60 days, to achieve that outcome. 3. Act - After the assessment process, you will have a clear picture of where your business is today, specifically what you're doing well in the given focus area(s) and what you need to work on. You'll also have clearly defined recommendations and next steps set forth, ready for action. If you choose to continue working with us, we can partner with you -- whether your action plan calls for consulting, coaching, contracted support or a combination thereof. Eager to learn more? Watch a short overview video to learn more about our services and capabilities, download our Guide to Business Growth noted below, then get started with us today.